Kari's work in the lab focused on species formation and diversification in several independent lineages of Hawaiian flies. She compared phylogenetic and biogeographic patterns among larger and smaller radiations, to better understand the factors that may promote or constrain diversification. Her ongoing work combines tools from phylogenetics, population genetics and animal communication to examine what promotes speciation and diversification in evolutionary radiations. 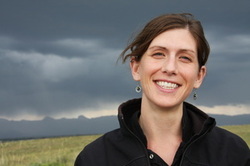 Kari is currently a postdoctoral fellow on Rosemary Gillespie's Dimensions in Biodiversity Grant. Karl came to the lab with a strong background in Hawaiian arthropods. He is an expert on the native Hawaiian bees (Hylaeus). While in my lab, Karl worked on taxonomy of the endemic Hawaiian Drosophilidae. He completed revisions of the ateledrosophila, nudidrosophila and modified mouthparts species groups. He was also involved in a large synthesis of ecological information for all Hawaiian drosophilids. Karl has since focused on picture wing taxonomy and phylogeny and has continued to study Hawaii's native bees. Karl is currently employed doing survey work for the state of Hawaii and the US Army. 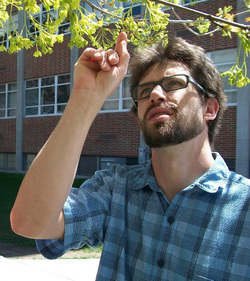 Brian entered the lab with a background in population genetics and is specifically interested in the causes and consequences of barriers to gene flow among natural populations via physical barriers that prevent dispersal, by interspecific interactions such as competition, or by differences in selective regimes in different locations. His work in the lab focused on using a DNA sequencing approach to investigate the microbial community composition in several habitats used by Hawaiian Drosophila for oviposition and larval development. Differences in microbial community composition may have played an important role in habitat switching by the flies, thereby contributing to the formation of reproductive barriers to gene flow among incipient species. Natalie was co-advised with Dr. Vince Resh. She worked on the mayfly genus Baetis in Northern California. She used a combination of traditional survey methods and DNA barcoding to provide tools for the biological assessment of changing aquatic habitats to help guide restoration efforts and management decisions. She examined a number of population parameters, including genetic diversity, migration rate and effective population size will expand our understanding of how species resist various disturbances (e.g., water level, pollution, changes in community composition) and inform our management decisions. Lisa worked on nearshore coastal ecosystem resilience in the face of multiple anthropogenic stressors including sea level rise, nutrient loading, and invasive species. Specifically, two Hawaiian ecosystems at the interface of groundwater and marine hydrologic systems - coral reefs and brackish anchialine pools. Lisa is currently a science teacher at the Santa Catalina School in Monterey, California. Jessica worked on the evolution and biogeography of Scaptomyza (subgenus Elmomyza) and the use of Hawaiian drosophilids as proxies for ecosystem health. She took a MS degree in 2014. 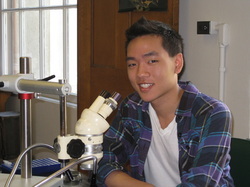 Gordon's research focused on the systematics, biogeography, and coevolution of native Hawaiian leafhoppers (Cicadellidae: Nesophrosyne) and their endosymbionts. 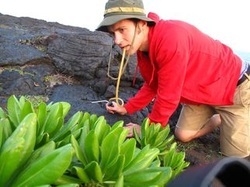 Gordon discovered over 100 new species of Nesophrosyne as part of his dissertation research and also examined the evolution of the primary (Sulcia) and secondary (a novel taxon) endosymbionts in the endemic Hawaiian species. Gordon is currently a postdoctoral fellow in Dr. Nancy Moran's lab at UT Austin. 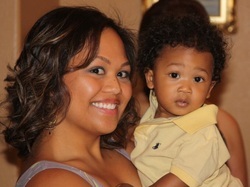 He will start as an Assistant Professor at the University of Hawaii Manoa in fall 2015. PhD Student (2005 - 2011). 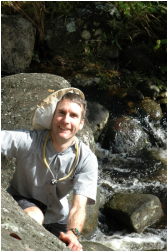 Rick's PhD research examined the diversification of the antopocerus-modified tarsus-ciliated tarsus (AMC) clade of Hawaiian Drosophila using phylogenetic and population genetic methods at several different temporal and biogeographic scales. Rick completed a a PERT postdoctoral fellow in Dr. Noah Whiteman's lab at the University of Arizona in 2014. He is currently a Research Scientist at NCBI. 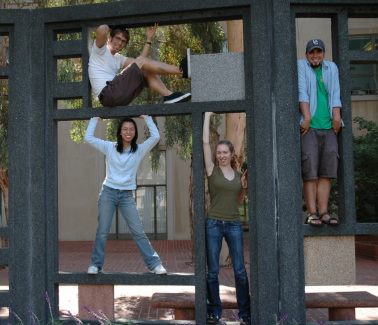 Above: Lab group, summer 2008. Gordon Bennett, Rick Lapoint, Sophie Bridgers, Kelly Tran. Left: Kauai collecting trip, January 2010. Norma Pantoja, Gordon Bennett, Rick Lapoint, Brian Ort. 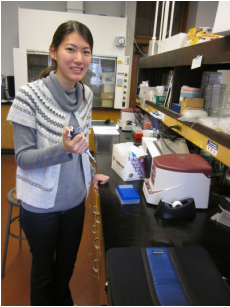 Roxanne investigated the microbial community profiles of Drosophila plant feeding substrates in Hawaii. 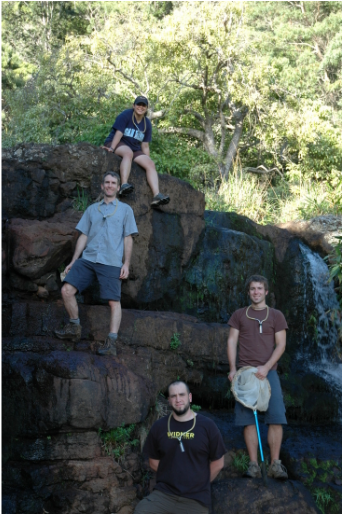 Dan worked with Gordon Bennett on the endemic Hawaiian Nesophrosyne. Alex workied on the systematics and population genetics of Hawaiian Drosophilidae under the guidance of graduate student Rick Lapoint. Alex is currently in medical school. 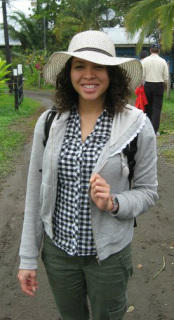 Maia has worked on the Hawaiian fungal diversity project and the California aquatic insect project. 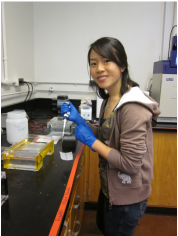 She is currently doing graduate work in marine biology at the University of Hawaii, Manoa. Kristen studied the fungal diversity associated with Hawaiian Drosophila and their endemic host plants. She currently works for the Marine Mammal Center in Marin. Jessica worked on the Comparative Phylogenetics of Hawaiian Diptera Project, where she is focusing on the endemic Ephydridae, or shore flies. Joel is currently a graduate student at Harvard University. 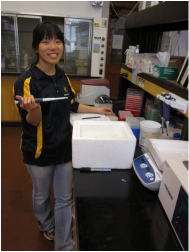 Norma worked on microbial symbionts in Hawaiian Drosophila and published papers on Wolbachia and fungal associates. Crystal was part of the Comparative Phylogenetics of Hawaiian Diptera Project and used mitochondrial and nuclear DNA in order to evaluate the phylogenetic relationships in the Hawaiian crane flies (Limoniidae) and shore flies (Ephydridae). Crystal currently in pharmacy school in southern California. 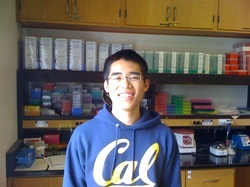 Saya worked on the Comparative Phylogenetics of Hawaiian Diptera Project. 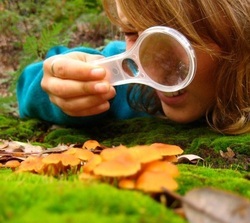 She has generated data for several groups, including Campsicnemus, Scatella and Dicranomyia. Sue was part of the Comparative Phylogenetics of Hawaiian Diptera Project. She used nuclear and mitochondrial genes to construct a phylogeny of the endemic Dolichopodidae (Campsicnemus and Eurynogaster). Jeffrey worked with postdoc Brian Ort and graduate student Richard Lapoint to generate a phylogeny of the genus Scaptomyza, including both Hawaiian and non-Hawaiian species. Jonathan worked with graduate student Gordon Bennett to characterize a secondary endosymbiont of the native Hawaiian leafhoppers. 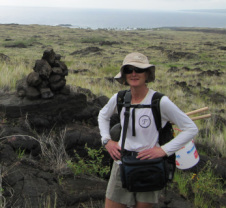 Ellen worked on the population genetics of the endemic Hawaiian plant genus Pipturus. Kirstie is examining the evolutionary history of the endemic Hawaiian Asteiidae.